This Saturday morning I felt particularly inspired and wanted something light and sweet to go with breakfast. 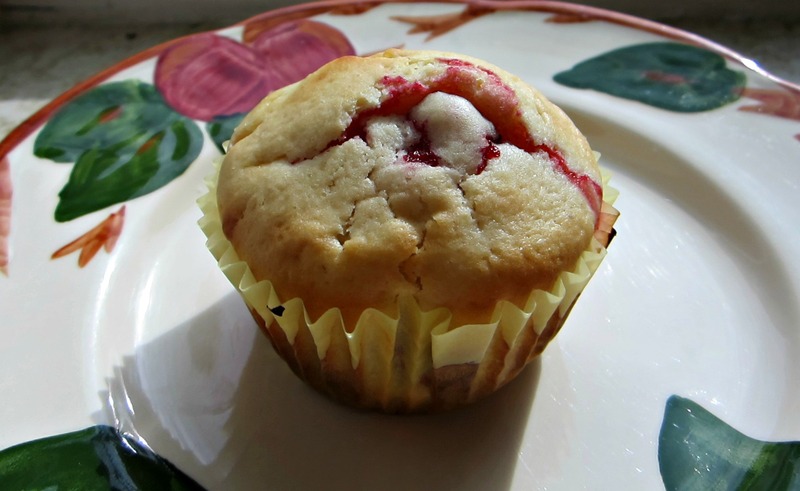 I had some strawberries on hand and steadfastly refused to waste them, so it was time to make strawberry muffins! I used a high-altitude recipe so the measurements are a bit funky, but it did work! Fluffy, light muffins were mine! These are not particularly sweet, so sprinkle some sugar on top if you want it, but I though it was a nice balance of flavor and really brought out the strawberry. 2. Combine flour, 1/4 cup sugar, baking powder and salt in a bowl. 3. Stir in milk, egg and butter. 4. Toss diced strawberries in flour (enough to coat them but no more) and then fold into batter mixture. 6. Bake for 15-20 minutes, until tops are golden brown. Stop everything! Go here: Bang!